Linking your lean journey toward striving for operational excellence should be one of the organization’s key goals. Operational discipline is the foundation for improving performance and achieving operational excellence. When done right, it can take years to develop and engrain into the company’s culture. Operational discipline provides an organized way to accomplish tasks and implement operational changes through a fundamental set of procedures that are specific to a business’s unique products or service offerings. Operational Discipline is built on 1) knowing what the right thing to do is 2) being willing to always do the right thing and 3) ensuring others always do the right thing. Simply put, operational discipline means complying with a set of well-thought-out and well-defined processes, and consistently executing them correctly. Companies with high organizational discipline are more competitive and leaders in their markets. 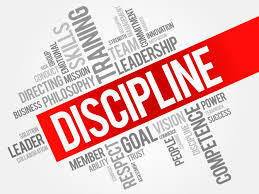 Organizational discipline is performing business processes in a standard, repetitive fashion at a high level. Even when excellent systems are in place, degradation of system use occurs because of turnover and performing work outside the system. Continuous improvement of processes is also a key to organizational discipline. Continuous improvement is a key to achieving high levels of organizational discipline because the whole organization is focused on performance and improvement of standardized business processes. Operational discipline improves the execution and performance of the work practices across an organization to a point where leaders and employees consistently and continuously address the day-to-day operational needs of the business in a timely, safe and efficient manner. When companies employ operational discipline as a means of providing more predictability across their organizations, certain tasks reach higher levels of efficiency, contributing to fewer mistakes and better quality. As a result, time and opportunities open up for everyone to focus on elevating performance and results. There is a ripple effect of benefits, each having the power to unleash rapid and continuous improvement, as well as waves of innovation. Getting an entire organization to excel at it isn’t easy, but as leaders show a commitment to achieving operational discipline, employees take up the challenge and deliver increasing levels of interdependence, innovation and sustainable growth. Tim, excellent post. To me the most important factor to organizational excellence is getting the floor leaders to adopt operational excellence in their specific areas, not the management pushing the change throughout the company. To get lasting change the people that actually put their hands on the product are the ones that have to buy in, and this change can look really slow upstream. Thank you for your insights.